we're from. Get to know us and you'll see why. Here at Beryl, we see ourselves as part of something bigger. Today's dynamic world demands modern fuels, plastics, chemicals, and medicines. Our mission is to create an environment that brings out the best in these laboratory processes. Beryl laboratory solutions: making what you do better. Founded in 2008, Beryl entered the laboratory industry with a vision of a new world: that modern comforts were no longer luxuries for the select few but rather could be available to all. Since then, we have developed in parallel with these modern industries, modernizing our techniques and growing in the process. At Beryl, we see our history as part of thefuture. We know we'd be nowhere without our loyal customers. Acceptance among these industry leaders reaffirms our core values. Beryl is proud to take part in what they do, and we see the feelings as mutual. 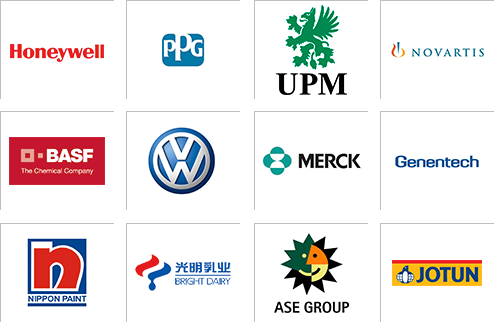 Customers trust the Beryl brand as a reliable partner in laboratory industry. Constantly raising our standards, Beryl is proud to join members of SEFA in creating humane, safe, and effective laboratory environments. By joining other industry leaders, we hope to further improve our world-class products and services to better serve our clients. Beryl Labs 2019. All Rights Reserved.